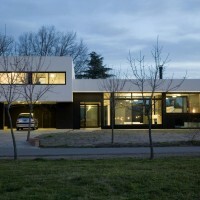 Andres Remy Arquitectos designed the Grand Bell House for a family in Buenos Aires, Argentina. 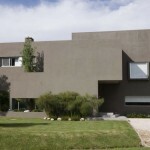 This family house is located 50km from Buenos Aires in a gated community at City Bell, in a plot 30m wide and 45m long. 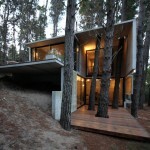 It was designed for a young couple and their children, providing everything they need in 350m2. 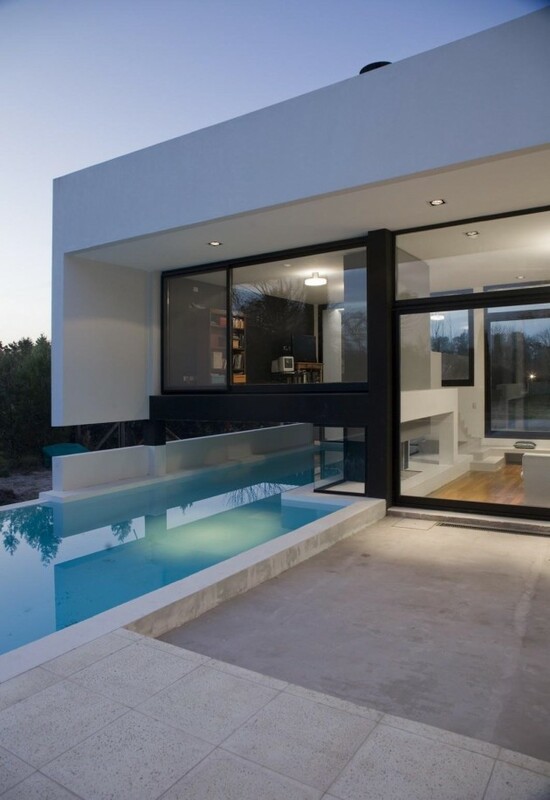 This house presents simple shapes and colors, where the most significant operation it’s the contrast between the white color of the house and the black of the windows. From the intersection of two bars, it was decided to work in two levels, leaving the private part in the long direction of the lot. The bedrooms, situated at the front, have an excellent orientation, while the master suite stays private and gets the best visual. 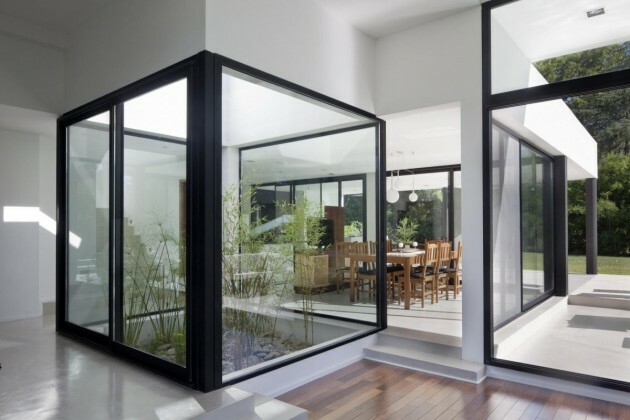 An outdoor green space receives us as we enter the house, becoming a link between the living room and the rest of the house. The sunrays penetrate this green space, reminding us the protagonist is outside. The fully glazed playroom was designed mid-level of the living room, becoming the fireplace a connection between them. 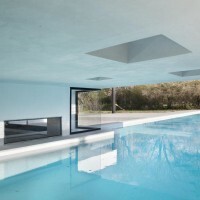 It is a flying volume with three openings on the floor that allows you to see the large pool that runs underneath. 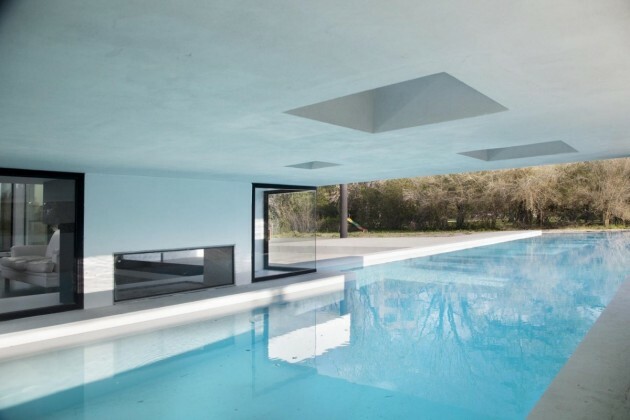 The pool, located along the lot, has the best orientation and passes under the playroom volume, becoming the protagonist of the house with its 19m long. It allows you to see it from any place in the house, especially from the living room where the fireplace acts as a window.